Hooman Majd, acclaimed journalist and New York-residing grandson of an Ayatollah, has a unique perspective on his Iranian homeland. In this vivid, warm and humorous insiders account, he opens our eyes to an Iran that few people see, meeting opium-smoking clerics, women cab drivers and sartorially challenged presidential officials, among others. 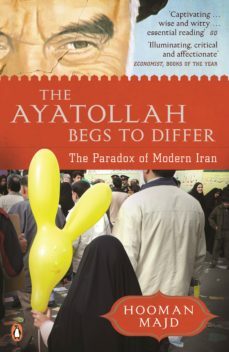 Revealing a country where both t-shirt wearing teenagers and religious martyrs express pride in their Persian origins, that is deeply religious yet highly cosmopolitan, authoritarian yet reformist, this is the one book you should read to understand Iran and Iranians today.